Beaphar Urinary Tract Support Easy Treats contain glucosamine and D-mannose which help maintain the protection of a cat's bladder wall. Also added are Omega 3 oils, cranberry and other antioxidants which provide support for the immune system and bladder health. Lower urinary tract infections can be suffered by most cats in their lifetime, usually due to a poor diet or from stress. Feed up to 10 treats per day. 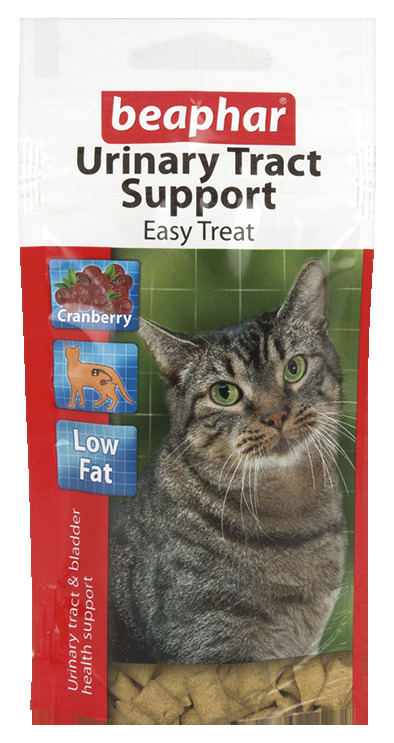 There are currently no questions for Beaphar Urinary Tract Support Easy Treats for Cats - be the first to ask one!